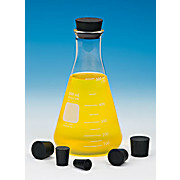 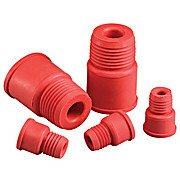 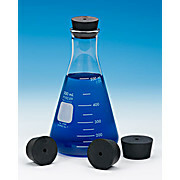 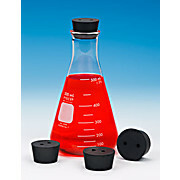 Sleeve type stoppers with a hollow plugs and sleeve extensions that folds down over the neck of a vessel, tubing, etc. 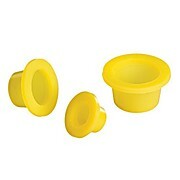 The diaphragm can be punctured with a syringe needle, re-sealing after the needle is withdrawn. 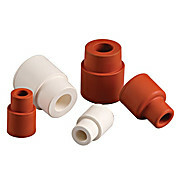 Available in either RED or WHITE rubber.